This collection of songs represents just a few of the thousands of fine songs that could easily have made their way into such a songbook. 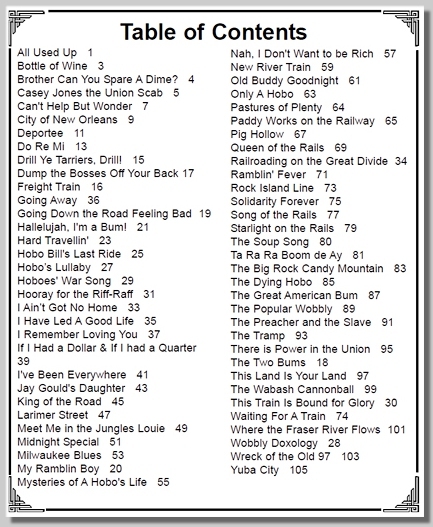 The songs that made it into this second edition did so because they are either classic railroad/hobo tunes, they are well known, they are easy to play and/or they are easy to sing. Like the first edition published 10 years ago, ultimately the purpose of this song book is to assist regular everyday people to sing together. The songs are generally arranged in alphabetical order to make it easy to find if a specific song is in fact in the book. Also, when someone in the group hollers out for a certain song (by name and/or page number) everyone can quickly locate it in the book. 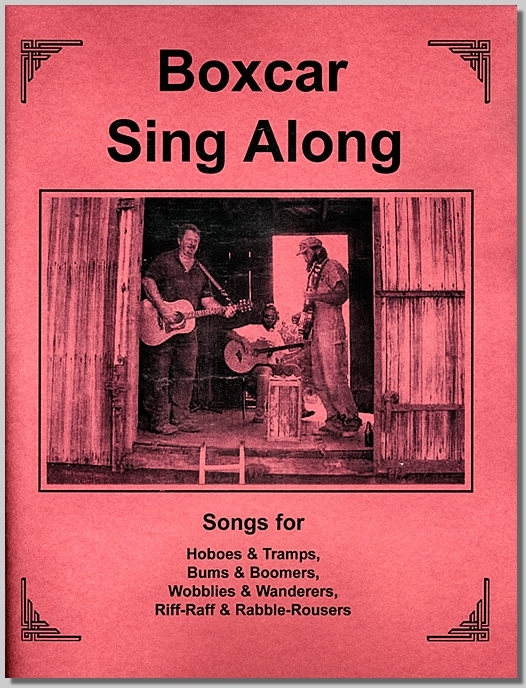 This songbook is to be distributed free of charge, never sold. However, contributions to help pay for the cost of printing are welcome from those who have the financial ability. 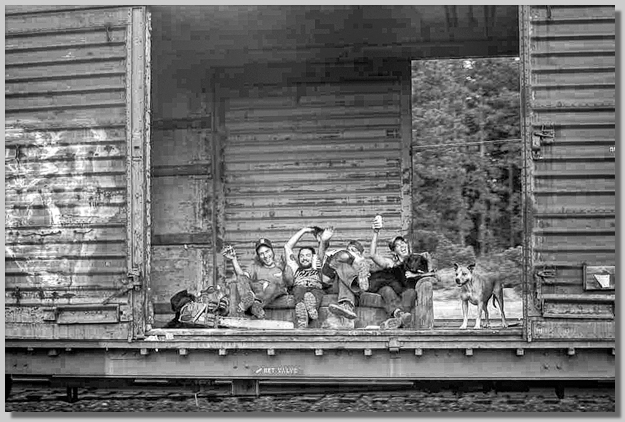 Any and all proceeds received above and beyond the costs of printing will be donated to the Black Butte Center for Railroad Culture. Thanks to all those who helped with this work, and to all the working class song writers and musicians who are listed in its pages. Hopefully this book will do a little to help preserve their music. May these songs serve to inspire a new generations of musicians who are out on the road, hopping freights, on the bum, and in the workplace; those who have been infected with the spirit of wanderlust or the fire of the class struggle.